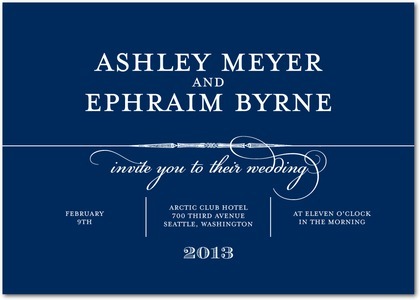 Calligrapher Notes wedding invites from Wedding Paper Divas are an elegant choice for your special event. An ultra refined and comely design with a lovely mix of serif and script type. Available in the following colors : navy (shown), black, majestic, and rich red.